It's twenty years since Lush released their final album Lovelife, but in the latest of a spate of 1990s reformations they're back and doing things the proper way with the release of new material. 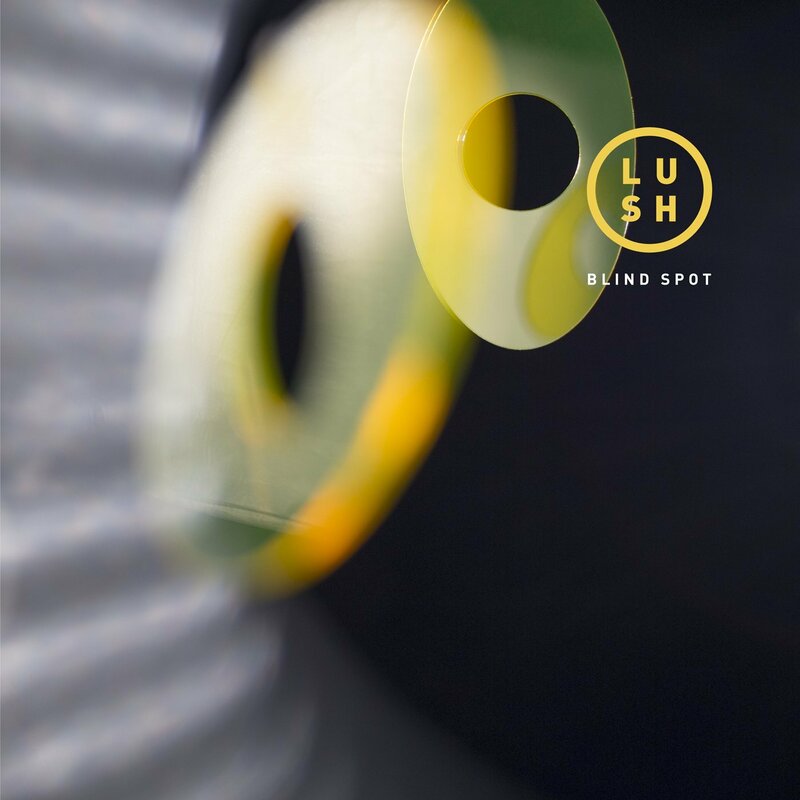 The Blind Spot EP feels like the listener has been transported back to the heady days when bands like Lush could break the charts and onto radio playlists. More so than most bands that have reformed, the EP feels like the band have never been away. Whilst for so many bands this would mean that they sound incredibly dated that isn't the case for Lush. They were thrown into the melting pot that was Britpop which, other than the more pop stylings of Lovelife, was doing them a massive disservice as their path was always more ethereal, more widescreen than the mockney fixations of that scene. It's refreshing to note that Blind Spot could serve as a resume for Lush. Miki's dreamy vocals, still as unmistakeably unique and untainted by time, wrapped in a sound that manages to exude a pent-up claustrophobia that's strangely alluring and which manages to hold the listener in suspense. Lyrically, the themes of emotional uncertainty run right through the core of the four songs. Opening track Out Of Control contains the revelation "can't understand why you won't take my hand, out of control when you hurt me so much" as Miki bares her soul to an unattainable love interest whilst retaining an optimism that it'll happen. The jangling guitars that usher in Lost Boys pave the way for Miki's indie-opera vocal where that clever use of intonation to emphasize the words heightens their impact - "I should have never let you out of my sight, desperate to be beside you." Burnham Beeches is our favourite song of the four, starting with some delicious vocal harmonies that return throughout accompanied by some bright subtle brass to lift the shimmering gloom slightly as Miki muses "I'm so shy, I never speak a word till we're on our own. That's just fine as long as everybody leaves us alone." It might just be the best thing they've ever done. The EP concludes with Rosebud where Miki somewhat chillingly informs the song's subject that "a drop of blood is all that's required to close your eyes and seal your fate" whilst the music holds the listener on a tightrope, always on the brink of tumbling into the unknown, but retaining its balance expertly. Blind Spot is an absolute revelation and a new watermark high for any band hitting the revival trail. Purposeful and direct in its intent, never veering from what made the band special in their formative years but enriched with the wisdom of age. It's a simply stunning marker to put down after twenty years away from the spotlight. Lush's official site can be found here and they are also on Facebook and Twitter. Was told by the girl in the video that Out Of Control is actually a mother to child song, not about a love interest.